عندما تزور ملبورن, ستشعر أنك في بيتك في فندق جراند تشانسلر، ميلبورن الذي يقدم لك إقامة متميزة و خدمات عظيمة. يسهل الوصول إلى هذا الفندق ذو 4 نجوم من المطار، فهو يبعد عنه مسافة 20. Km فقط. يضفي محيط الفندق اللطيف وقربه من الصيني, ‪Wesley Church Melbourne‬, مسرح هير ماجستي سحراً خاصاً على هذا الفندق. استمتع بالخدمات الراقية والضيافة التي لا مثيل لها بهذا الفندق في ملبورن. يمكن لضيوف الفندق الاستمتاع بالميزات التالية على أرض الفندق: خدمة الغرف على مدار الساعة, واي فاي مجاني في جميع الغرف, مكتب الاستقبال على مدار الساعة, صف السيارات, خدمة الغرف . في الفندق غرف نوم يتجاوز عددها 160، كلها مجهزة بعناية وجمال وبعضها مزود بـ تلفزيون بشاشة مسطحة, اتصال لاسلكي بشبكة الإنترنت (مجاني), غرف لغير المدخنين, مكيف هواء, تدفئة. إن مركز للياقة البدنية, حمام سباحة خارجي هو المكان الأمثل في الفندق للاسترخاء وتفريغ طاقتك بعد نهار طويل. إن فندق جراند تشانسلر، ميلبورن هو خيار ذكي بالنسبة للمسافرين إلى ملبورن، بما يوفره من إقامة هادئة ومرحة. يوجد مكان خارجي لانتظار السيارات نظير رسم إضافي ويخضع لمدى التوافر. أجر إضافي يتراوح بين1.3% و 3.35% سينطبق عند استخدام بطاقة إئتمانية. لمزيد من التفاصيل برجاء التواصل مع العقار. Staff friendly and helpful, room small but clean had everything we needed. No noise coming through walls. We didn't eat there as there are so many places to eat surrounding this area. Have stayed here before and will be back. Our 2nd wedding anniversary & a theatre show in the city were the reasons we stayed at this hotel. My husband had organised a bottle of sparkling and a cheese platter to be organised just as we got settled into our room. But apparently they required at least 1 week's notice for a bunch of flowers to be arranged so that didn't happen. I wouldn't have thought it would take THAT long to arrange flowers! The room was comfortable, the rainhead shower amazing and being so close to everything was a huge bonus. We will stay again. It was quite an easy and quick check in and out. The staffs were very friendly and when we asked for a later check out, they gladly give us until 12 noon, which is quite rare for hotels in Australia. The staffs are also quite helpful looking for taxi and storing our baggages on our check in. The room is a bit small but sufficient for 2 people. It is very clean and we like the layout of the room. The thing that makes us tick is that it is very centrally located as well so if you need to go around the city centre area, you can walk it or take the tram. And if you need to go out to eat, it is quite easy to find somewhere to eat around there. I think the hotel is great value for money too. It was not too expensive whilst located centrally and service has been great. Will definitely stay again for sure! Hotel is close to theatres, shopping, Chinatown. Our room was average, a little bit dated, probably budget room but we only needed somewhere to sleep and shower. Staff friendly. We didn't eat at the hotel so can not make comment. Only problem we had was parking, the parking hotel recommend is not suitable for height of a 4x4 car, even though I had inquired about height restriction and told we would be fine. Found out the hard way when trying to enter car park scrapped our roof. Luckily across road is open air car park. Would stay here again if we got the room for same price. The hotel is located at the city center. China town is within minutes to reach. There is a supermarket nearby. The carpet and the room appear to be a bit old. Overall, the room is clean. The staff at the carpark is not very friendly! the room is spacious for two persons, the room and toilet are clean. 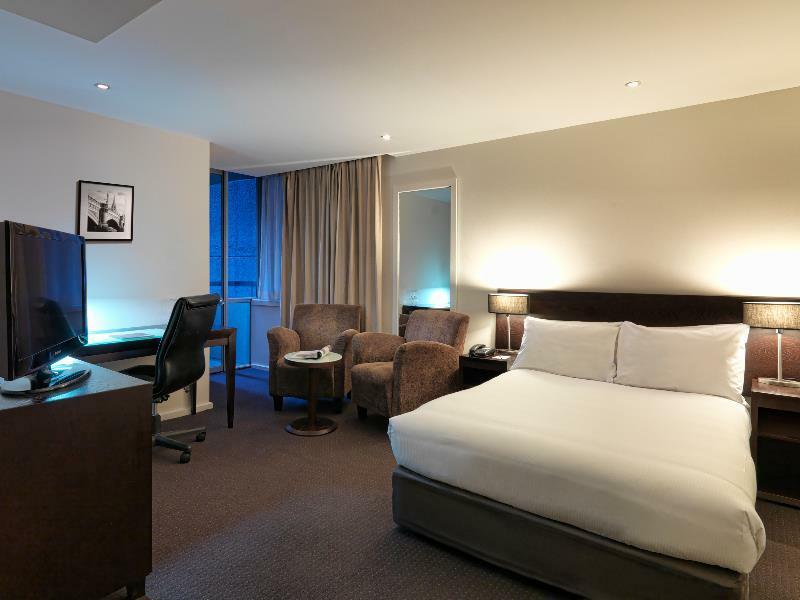 i really enjoyed my stay at this hotel, right in the cbd, many restaurants and shops nearby. 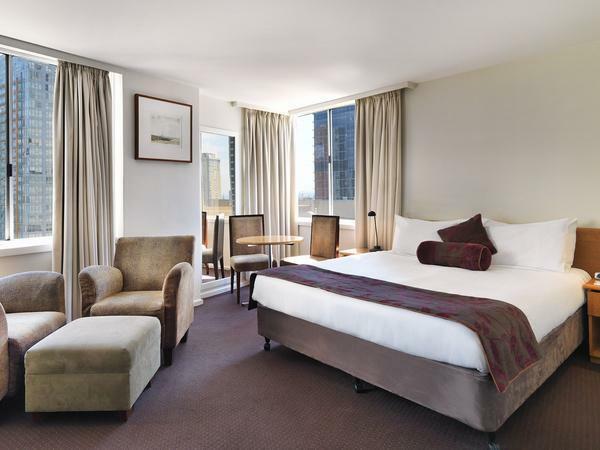 very good value for money and i will go back to this hotel in the future trip. the hotel was in a very convenient location for my activities in melbourne. lovely tree lined street and interesting restaurants. room was comfortable and clean. 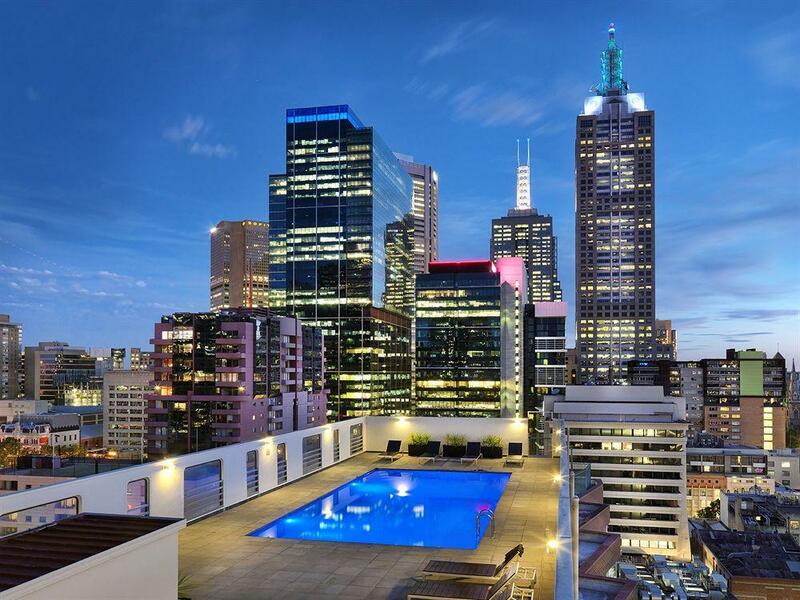 i enjoyed a swim in the heated pool on the rooftop even with a cold southerly wind blowing! 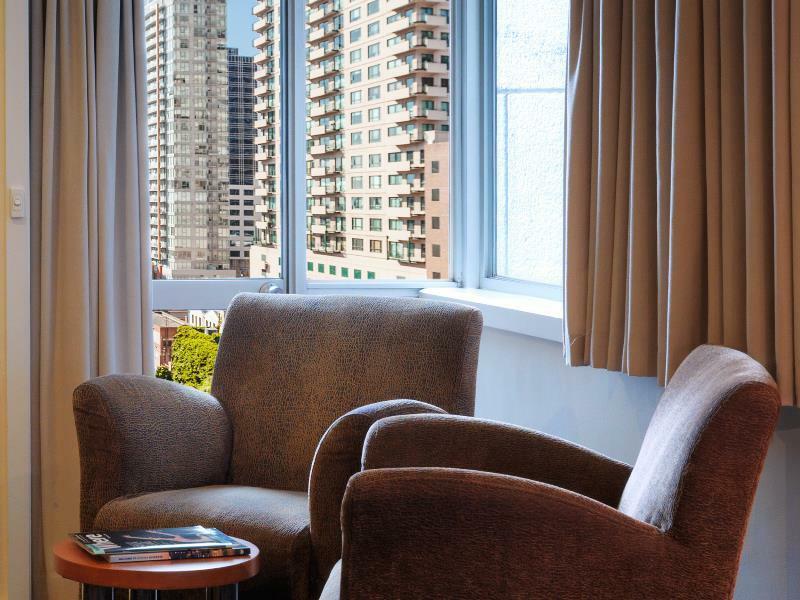 this hotel is certainly value for money as it is well placed in the cbd on lonsdale st. but i like it best for its good size room (i got 1005)! the room had two arm chairs and a small dining table for two. and a pretty fantastic view of the church across the street. i had great service here as i was checked in early (10.30 am) after a red-eye flight from auckland without having asked! i would certainly stay here again. The Credit Card holding was not released 2 days after checkout, then it was the weekend and I had to call twice to chase this. I know staff tried to be helpful - good. Good staff service, but extremely BAD Management practice of holding credit card process. 1. When I made the booking, one week ago, they used the same credit card and took the correct payment for the room. So room is paid one week in advance, and they have my credit card details. So no excuse for wanting my credit card during checkin and place extra $100 on hold. 2. I know it is common practice to place hold on Credit Card. But I expect the process to release the hold immediately during check-out. No excuse that bank takes days to process. It takes ZERO time for them to place hold. But it takes their own sweet time to release hold. 3. I know it is common practice to place hold on Credit Card. No Excuse for taking $100. Another hotel I been to, place hold for $0.01 - enough to verify CreditCard. Great location close to shops, restaurants, china town. Friendly, helpful and professional staff. Very comfortable bed and newly renovated bathrooms. 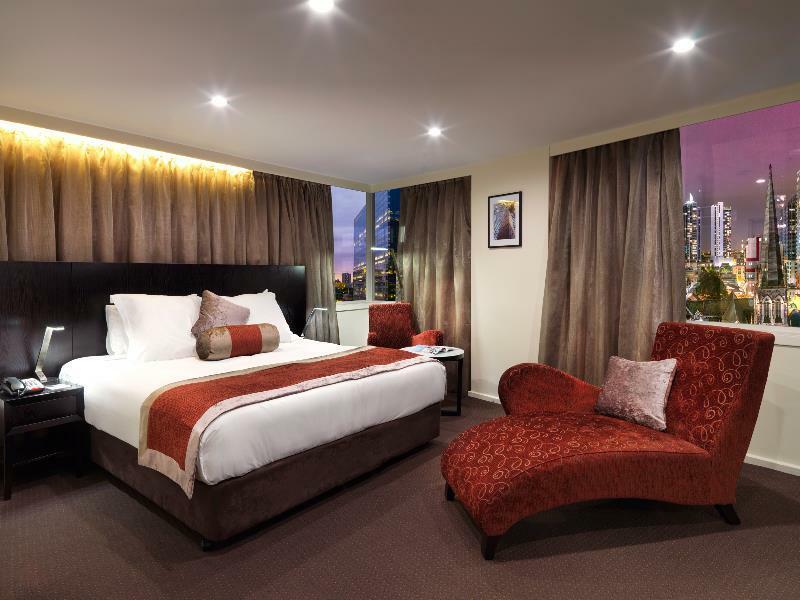 I'd definitely stay there again on my next visit to Melbourne. Location is all about this hotel. Close to everything, very convenient. Food, shopping,tram all within walking distance.. Nice view from room. Price is pretty steep. Breakfast lack of choice.. Not very happy to have to pay for carpark for 2 nights. Free limited internet but I can't get on it. The hotel room was good and comfortable, Location not so near to Chinatown but nearby have many restaurant and cafe. The staff was friendly and helpful too... however, this hotel only provide 1 hr free wifi at room/public area, therefore is difficult for traveller who needs to access to internet. Great location, easily accessible to all the shopping streets and malls. Offers valet parking at A$22 per night. Love the water pressure of shower, bathroom is a little tight though. Room is kept generally clean. Bed and pillows are comfortable. Disappointed. Room is small. Checking out is slow due to "weird and absurd" management procedures. 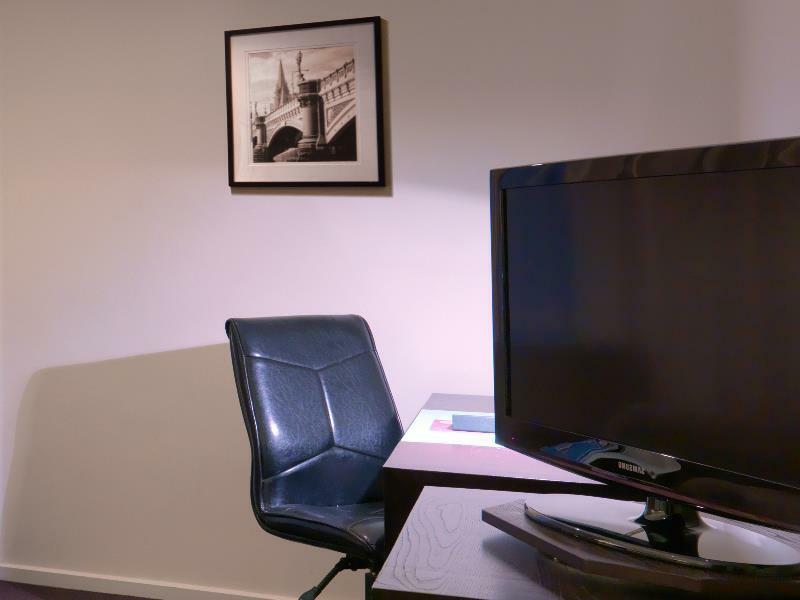 Room must be emptied and checked for minibar use then you can really checked out. Staffs are not friendly at all. hotel is very conveniently located but rooms were very small. We had an additional bed placed in the room and there was not much space left for moving around after. The additional bed was very thin and uncomfortable, you could feel the springs from the bed frame. The worst experience we had during our stay was the plumbing in the toilet. It was impossible to control the water temperature in the shower and you will get cold water to really hot water within seconds even without making adjustments. The hotel only left a note in the room to say that they were improving their plumbing system and hence might experience some inconvenience. I would've appreciated if this was highlighted to us upon checkin as it was impossible to shower without having to adjust the water flow every few seconds or risk being scalded. Location was pretty good, and the staff was very friendly, late check out was not a problem. Quick check in at the arrival, staff was very helpful and friendly, good location, you find a place to eat anytime of the night, room were nice and clean, and the late checkout was not a problem. It was a great stay.